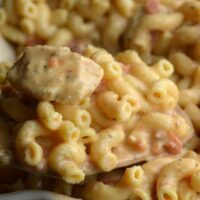 I actually have never heard of King Casserole until a member of my facebook group asked for this recipe. Mine is a different version so I could make it in the Instant Pot. 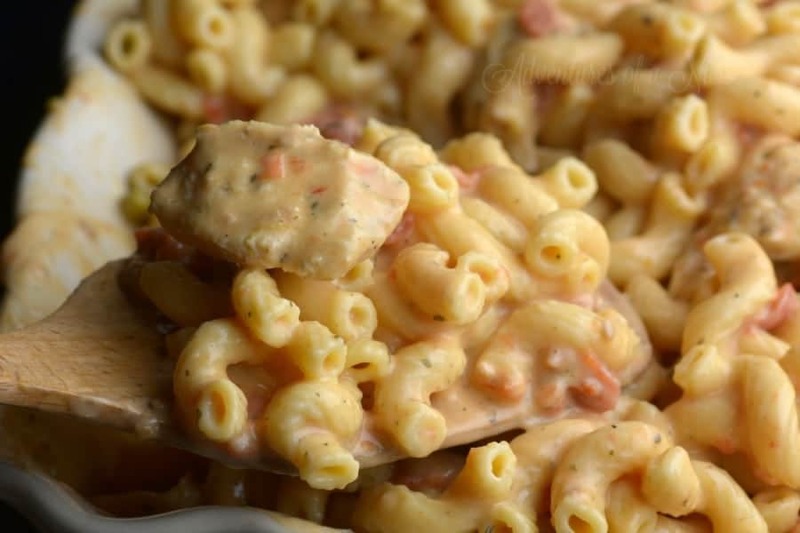 Spicy and Cheesy with a hint of ranch this is a great meal that will fill everyone’s bellies and not break your budget. If you are looking for other Frugal Meals check out my 10 Frugal Instant Pot Dinners. Directions: Turn Pot on saute. Add chicken and ranch seasons. Add pasta, water, Tomatoes, and Chili peppers, in that order. Place on manual high pressure for 5 minutes. Do a quick Release. Stir in milk and cheese until melted Serve. Turn Pot on saute. Add chicken and ranch seasons. Add pasta, water, Tomatoes, and Chili peppers, in that order. Place on manual high pressure for 5 minutes. Do a quick Release. Stir in milk and cheese until melted Serve. So, the first time that I made this recipe, I stuck to the exact ingredients/measurements and it was fantastic. Well, I just wanted to tell you that I tweaked your recipe a little, and holy moly, it was FABULOUS. Instead of chili peppers, I used frozen broccoli. I subbed milk for 3 oz of heavy cream. I also added some garlic powder. I am making this right now!! Are you supposed to actually sauté the chicken and ranch seasonings or do you do that just to warm the IP up? Also the water didn’t come up over the noodles is that normal? I’m curious about this as well. How did it work for you? My daughter and husband loved this recipe. Thank you for helping me find one more thing the picky eater enjoy s.
Perfect & easy pre- baseball game meal! Important step – Drain tomatoes! This recipe definitely has potential. My girlfriend and I replaced the water with chicken stock, doubled the amount of chicken, and added some crumbled up bacon. I am new to the instant pot and don’t understand the instructions. Am I supposed to sauté for 30 min (like it defaults on the pot) or just do this til it reaches the “Hot”, then move into the next steps? Is the pasta supposed to be cooked before you add it to the instant pot? I don’t have a “instapot” I have another brand so it’s kinda harder to follow the directions for “instapot” recipes. I cooked my 3 raw refrigerated bonelessskinless chicken for 3 minutes in the 3 cups of water. Opened it up, added a splash more water (just to replace what was used in the 3 minutes). Then added the rest of the ingredients and followed the instructions from there. Turned out tender and well cooked. Next time, I will add some spinach or kale for more flavor, bacon sounds good too. I also used rotel. Hope this helps. Could we get more detailed instructions? How long does the chicken need to be cooked on sautée, before everything else is added? I would love to make this, but as others have mentioned a few clarifications to the instructions would be spectacular! 🙂 I’d rather get it right than experiment and potentially waste food in the process.